When Ernest and Chree Shunn found out that the factory where they had worked for thirty years was closing, they knew they had to find a new path forward in order to make a living. Their solution? Trucking, specifically Expediting! Follow along as Spotlight News details how they took ES’s PTO (Path to Ownership) to get their MBA (Much Better Alternative) to truck finance. Their path followed in the footsteps of Patrick Lee and Eric Hyfield, Fleet Owners who started their careers at ES as Contract Drivers and had taken the Path to Ownership years ago to become successful fleet owners. What led you to transportation after the loss of a thirty-year career in manufacturing? Ernest and I had worked for a company that manufactured hand tools. Things had been slow for a while and one day, they decided that the plant would relocate to China. That was in 2015. Fortunately for us, the company had a severance package that included a two-year jobs training program that would pay for any type of re-training we chose. We had done a lot of research about what we wanted to do and trucking interested us very much. We enrolled in trucking school and got our CDL and began looking for a way to get started. We had heard a lot of good things about FedEx and contacted them. Our goal from the start was to become owners. After choosing FedEx as your carrier, what was the next step? We spoke at length to our FedEx recruiter and let him know right away that we wanted to be owners. He said ownership was something that we could definitely achieve, but we would need to get some hands-on experience first, driving as Contract Drivers. That’s when he suggested we drive for a Fleet Owner to learn the ropes. The Fleet Owner(s) happened to be Patrick Lee and Eric Hyfield. In our very first conversation, we explained to Patrick and Eric that we wanted to become owners. They were fine with this and said there was much to learn about the business and that we could start on one of their trucks. They also explained about ES and their PTO and MBA programs and how ES takes your work history into account when financing a truck. This all sounded like a wonderful opportunity and we soon began driving right a way. They were right, there was a lot to learn about the business and we jumped in with both feet — that was in March of 2016. Tell us about learning the business? Getting started was a bit of a challenge, but with Eric & Patrick we had good mentors, plus we had tools and advantages being under the ES umbrella. It wasn’t long before we started getting the hang of things and began generating a pretty good income stream. At that point we knew we had chosen the right path and we were on the road to success. In early 2017, Eric and Patrick suggested that we attend The EGG (ES’s Group Gathering) in Southaven, Mississippi. The EGG was an event tailored for people like us who are interested in learning about the industry and the trends that shape the market. We also learned a lot about ownership opportunities. The EGG re-enforced our desire to become owners. It also gave us the opportunity to meet others within the industry and to get to know the people at ES on a personal level. We learned so much about the ES community, including the fact they have one of the broadest and deepest fuel discounts in the industry. They are also a low cost provider of insurance and provide a national program with vendors for repair and maintenance. And on top of that, we learned that ES offers operational and back office support. All of this support helps Owner Operators be successful. Tell us about getting financed and purchasing your truck? At the end of last year, we submitted our paperwork to Expediter Equipment Finance. We knew our earnings were good and getting even better as we gained experience. It wasn’t long before we were approved. Patrick helped us spec our truck so we could make sure it would fit our needs for how we run our business. We wound up getting a Kenworth T-680. We operate as a Fedex Custom Critical team, so the truck is a TVAL unit. We’re thrilled with our new truck and the PTO and MBA was such a great opportunity to get into a new truck with very reasonable terms. We could not have gotten a better deal anywhere else. We also like the fact that ES took our attitude, aptitude and work history into account when it came to getting qualified. We just picked up our truck last week and are in the process of getting the branding applied. We will be hitting the road and taking our first load within the next few days. We’re looking forward to it and appreciate all of the support we get from ES, so we Never Stand Alone. We’ve worked out a three-year plan for our business. If things go the way we anticipate it will, we could see ourselves becoming Fleet Owners. For now, we’re thrilled to be owners and will work hard to be a Success in Trucking! What has it been like being a woman in the transportation field? I have no other transportation experience to compare it to. But so far, my experience has been very good. I haven’t experienced anything that I would personally consider negative in my dealings with people in the industry. However, I think it has a lot to do with what you make of it. I always try to be professional and treat others accordingly. How do you and Ernest balance your workload? Our balance comes from helping each other no matter what needs to be done. If I’m working on paperwork and he needs some help working on the truck, I’m always ready and able to help out. He’s the same way. We both got into this business as a team and that’s just the way we operate. What would you tell women who are looking to start a career in transportation? I would tell them that transportation can provide a great opportunity as a career. It’s important that you work hard and explore all of the options available, just as we did in order to become owners. This path worked very well for us. Expediter Services is working for You! Call us at 877.349.9303 and Never Stand Alone. We’d like to hear what you think about this Expediter Spotlight story. Please visit our Facebook page to comment. How many times in business and in life have you met someone who knows exactly what they want — probably not that often. 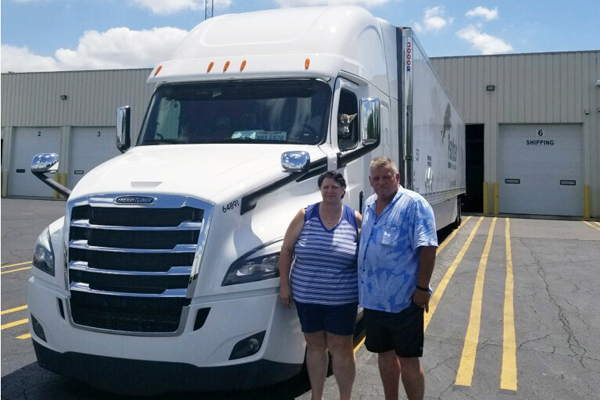 But every once in a while, you’ll meet people like Jackie Rocha and Michael Barclay, a husband and wife Expediting team who parlayed ES’s Path to Ownership into a Much Better Alternative to truck finance to become true owners in pursuit of the American dream. Rocha and Barclay knew from the start that they wanted to become owners. Fortunately, they were introduced to Patrick Lee and Eric Hyfield, Fleet Owners who started their careers at ES as Contract Drivers and had taken the Path to Ownership themselves years ago to become successful fleet owners. Read more to see how all of their paths converged to become a Success in Trucking. How did you and Michael get into the transportation business? I was a private investigator in south Florida and Mike was a mixed martial artist teacher. We both felt the need to look for better opportunities and decided to relocate to Atlanta. We both felt like we were in a rut and wanted to do something different. We had talked about getting into trucking in the past and Mike mentioned that we should seriously look into it. We began doing research online. We also visited local truck stops to get a feel for what the industry was truly all about. During that time we talked to a lot of drivers to make sure this was what we really wanted to do. We liked what we saw and heard. We knew right away that transportation was the place for us. We were motivated to get started. I turned twenty-one on a Sunday back in March of 2015 and on Monday, we were enrolled in trucking school. After graduating and getting our CDL’s we went to work as company drivers for a large carrier and stayed with them for two years. Tell us about finding a Fleet Owner to drive for, choosing FedEx as your carrier and working with ES? We knew after our first year as drivers that we wanted to be owners and wanted to make sure that our next move would put us in a position to reach that goal. We wanted to get as close to being owners as possible so we could live the reality and learn in order to prepare for being owners, so we began looking for opportunities as Contract Drivers. One day I stopped and spoke with a FedEx Custom Critical team at a truck stop about their business. I asked them how they got into being owner operators with FedEx and what it was like. What they told me was exactly what we were looking for. We knew FedEx was a great carrier and that’s what we were looking for. They recommended Patrick Lee and Eric Hyfield as Fleet Owners. They also mentioned a company called ES that was great at support for contractors and owners. We were intrigued by the opportunity. Right away we contacted Eric and Patrick. Everything the couple told us was true. These guys were great! They explained the ins and outs of being Contract Drivers and helped us get into the groove at FedEx. From the beginning, we made it clear to them that we wanted to be owners. They were cool with that and told us to be patient and to learn the business. That’s when they told us about ES and their Path to Ownership. We knew right away the PTO was our ticket to owning our own truck, but we still had to dive in, learn the business and prove to ourselves (and to ES) that we could generate the revenue and be able to handle being owners. Tell us about taking your Path to Ownership? We started by driving a used straight TVAL truck for Patrick and Eric under ES’s umbrella. We drove the truck for about a year and a half. Our numbers were good and we had learned a lot about the business and about ourselves. ES looked at our earnings, our attitude and aptitude and asked if we were ready to become owners and of course we jumped on the opportunity! After submitting our paperwork to Expediter Equipment Finance we were soon approved. We had looked at other financing options in the past and no one even came close to ES. Other finance companies wanted much larger down payments and they didn’t take our work history into account. ES required a much smaller down payment, leaving us more cash that we could use to support our business. We wound up purchasing a 2018 Freightliner Cascadia from Stoops Freightliner. Have you seen a difference in your bottom line since becoming owners? We’ve been in our new truck since May and we’re certainly making more revenue. One thing that definitely helps us save money is ES’s fuel card. It’s awesome! Also, ES’s support is wonderful. They’ve been there when we’ve needed them so we Never Stand Alone. What is it like being a women in the transportation field? How do you and Mike balance your workload? When it comes to our business, we’re both all in. Whenever anything needs to be done, we support each other. I do just as much driving, backing and anything else as he does and we both do what it takes to be successful. I’m fortunate that we have a great relationship and respect each other. What would you tell women who are looking to get into the transportation field? I would tell them to jump in with both feet. There is lots of opportunity for any woman who is willing to work hard and pursue their dreams. You can be a contract driver, owner or even a fleet owner if you want to. It all depends on you! Just like Eric and Patrick, we plan on becoming Fleet Owners under ES’s support. Once we get into the position as Fleet Owners, then we can help other drivers to become owners through ES’s PTO. In a way, it’s like paying the opportunity forward. We’re looking forward to the challenge of ownership and growing a fleet in the near future. The noted French writer, poet, aristocrat, journalist, and pioneering aviator Antoine de Saint-Exupéry once famously said: “A goal without a plan is just a wish”. His words could have easily been the inspiration for the husband and wife transportation team of Ed and Yolanda Camacho. Their career has spanned over twenty years together and during that time, they have always had a plan to achieve their personal and business goals. Yolanda speaks with Spotlight News and details how they modified their meticulous planning to take ES’s Path to Ownership (PTO) in order to get their MBA (Much Better Alternative) to leave behind a troublesome and expensive lease purchase agreement. How did you get started in Transportation? Before getting in to transportation, I was a private investigator and I did a lot of undercover work. One day on the way to a job I saw a billboard promotion that said “be your own boss” as a truck driver. Since I had just finished an investigation and was forced to take a three-month sabbatical, I thought I would look into the opportunity. That was twenty-four years ago and I’ve been in the business ever since. Ed started driving eleven years ago and we’ve been on the road together since then. How did you choose XPO as your motor carrier? We had been working for an owner operator who had quite a few trucks leased on with XPO. We had a lot of experience transporting pharmaceuticals and they asked if we would be interested in coming on board with them in that capacity. We worked with another owner operator in that division and that’s how we got on board with XPO. We’ve been here about two years, they’re a good carrier and have been a good fit for how we run our business. Tell us about your lease purchase experience? We had been with XPO for about a year, driving as contractors for an owner operator. We were in the process of moving to another owner operator when the opportunity to move into a lease purchase came along. The truck wasn’t new (it was a 2016) and soon it began to have maintenance issues. We had problems with the motor, the generator and several other major components. We began spending a lot of money on getting the truck up-to-par. We had established a maintenance account, but it was so much trouble attempting to communicate with the lease company trying to get out our funds to fix the truck, we wound up paying for most of the repairs out of pocket. It was either pay for it our selves or take a financial hit due to the truck being down for an undetermined amount of time. The lease company also bragged about having a working relationship with a number of vendors that would save us money and perform repairs, but that never happened either. So, we bit the bullet and did what we had to do to keep our truck and our business going. The lease company even gave us a hard time about that too, because they said the repairs weren’t “up to their specs”, even though I took the truck to the dealer for repairs and kept all oft he receipts as proof. Dealing with them was a hassle from the get go. Looking back on that experience makes us realize just how bad being in a lease purchase actually is. There are a number of things that just don’t add up, chief among them is the fact that you pay a LOT of money to lease the truck and there’s truly no way to beneficially pay off the lease. If we ever did pay it off, the truck would have wound up costing us at least twice what it is worth. And don’t get me started about maintenance on a used truck that you know absolutely nothing about. Add to that the lease company kept the money that we set aside in our maintenance escrow account. There was even a “buy out clause” that stated the lease company would buy your truck for “fair market value” — which wasn’t much! Really, the only thing that does add up with a lease purchase is the money you have to spend to be in one of them. It totally isn’t worth it! How did you hear about ES and the Path to Ownership and Much Better Alternative to truck finance? We’re a planning family and feel its important to be organized in order to have a successful business. The expenditures on maintenance on our lease purchase truck didn’t allow us the ability to save as much money as we wanted in order to put a down payment on a truck, which left us looking at different financial options. I spoke with another team who is with XPO that also had a bad experience with a lease purchase agreement. 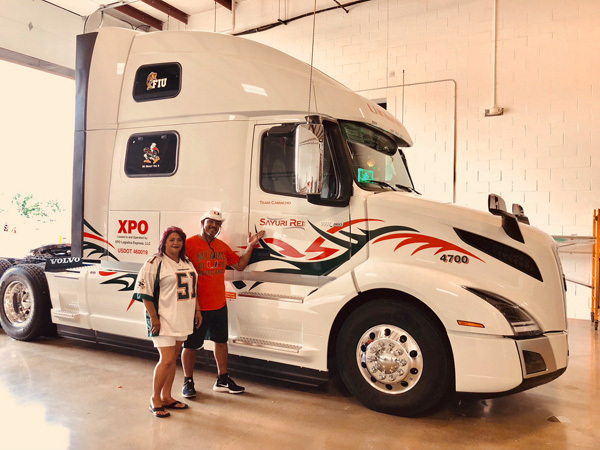 Their XPO recruiter had told them about options for buying a truck and they had chosen Expediter Services because of their PTO and MBA programs. It sounded like just the kind of opportunity we were looking for. We approached our XPO recruiter about financial options available in the market and we also chose ES. We were intrigued about ES taking our work history, attitude and aptitude into account when it came to getting financed. We had never heard of anything like that before, so we gave them a call. Tell us about getting financed and purchasing your new truck? Our first contact was Danny Vernon, Expediter Truck Sales Manager. We told him about our desire to become true owners. He gave us a lot of good information about the program and explained how it worked. We told him about the kind of truck we wanted and he found us a brand new Volvo 860. It’s everything we were looking for. It has a terrific sleeper with lots of room and a big refrigerator, which is nice because we prepare almost all of our own meals. The truck also is equipped with a ThermoKing APU, which helps us save on fuel. It has a great turning radius and you can tell it was built for a team. We love it! Once our truck was selected, we were placed in contact with Steve Kochensparger at Expediter Equipment Finance. We submitted our paperwork and in a short amount of time we were approved. The entire process was really pretty easy and both Steve and Danny always kept us up-to-date on the status of the transaction. They were also patient and helpful because we had tons of questions about the truck, financing and the PTO and MBA programs. Everything they told us was spot on. Everyone was upfront and easy to communicate with, which was refreshing after our lease purchase experience. When everything was in order, we made the trip to ES’s offices and picked it up. We’ve been in our truck since July 23rd and things are going well. The fuel economy is very good and there have been no maintenance issues. The ES fuel card is wonderful and positively effects our bottom line. Also, our relationship with the ES support staff is very good. These guys really know how to service us, so we Never Stand Alone. We plan on driving this truck and generating revenue for our business. At some point we want to purchase another truck with a custom sleeper and possibly build a fleet. We’re just going to work our plan and see where it takes us. What is it like being a woman in the transportation field? When I first started twenty-four years ago, there weren’t even showers for women. Many times I had to wait until all of the men had left the shower area and it was awkward. But today many things have changed. Women are welcomed at truck stops and there are facilities for us. What advice would you give women looking to get into trucking? I would tell them to do your homework, make a plan and work that plan. There are great opportunities in this business. It also helps to have the right person as your business partner. In my case, my business partner is my husband and we work wonderfully together. We split our tasks fifty-fifty and truly work as a team. Also, I would tell women (or anyone else who wants to drive and own a truck), to have a plan for how you want to achieve your goals. It has worked for us and we’ve had a great career in the business. Now we’re planning for even greater Success inTrucking as true owners. The desire to own your own transportation business can be a compelling proposition. You need a singular focus, determination and the right opportunity to be a Success In Trucking. Kelsey Gagnon and her husband/driving partner Bryan James left their jobs in the hospitality industry to pursue their dream of owning their own business and determining their own future. Their quest led them to ES’s Path to Ownership (PTO), where they got their MBA (Much Better Alternative) to truck finance. Their path was successful and something ES does every day! What made you want to get into transportation? Bryan actually started in transportation before I did. He drove for another company for about nine months then he found an Owner Operator who was with FedEx Custom Critical and began working and driving with him. He did this for about a year to get to know the business. That’s when I got my license so we could work together — he trained me, too. We had both been in the hospitality industry and wanted something more. We did research into transportation and it looked like a field with a lot of opportunity, so we decided to go for it. 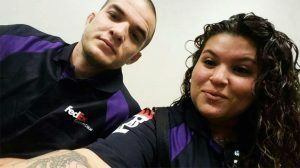 What made you and Bryan want to choose FedEx as your carrier? Bryan had seen FedEx trucks on the road for years and was aware of them. We also did research on motor carriers to find which one we wanted to work with because our ultimate goal was to own our own truck and become Owner Operators. When he found an Owner Operator to work with it really helped seal the deal. We’ve been with FedEx now for just over two years. They’re a great company and we’re really happy here. How did you find ES and our Path to Ownership and the Much Better Alternative to truck finance? Since our goal was to become Owner Operators, we did a lot of research about the best and most efficient way to become owners. We found the ES website and got a lot of good information about their PTO and MBA programs. We also spoke to some people who had taken the Path to Ownership and had heard good things about it. After doing a lot of due diligence, no other opportunity out there spoke to us like ES did. We also spoke with our recruiter at Fedex about what choices were available to us. He told us of several options and we chose the best one, which was ES. The next step was to call ES to get more information and the rest as they say is history. To learn even more, we attended the EGG (ES’s Group Gathering) in Southaven, Mississippi in April. They had a number of industry experts there explaining about the state of the freight market, financing and many other opportunities available through ES. We found this quite helpful and I would recommend that anyone looking to get in the business or whose interested in becoming an owner should attend the EGG. Tell us about the process of taking the Path to Ownership and getting your Much Better Alternative to truck finance? Of course at the time we didn’t own a truck. The Service Coordinator we spoke to at ES told us the first phase of starting our business is to drive one of their trucks (as independent contract drivers) in order to establish our ability to drive and earn the kind of numbers to qualify to own our own truck. We thought this was such a unique approach and a great opportunity. We started driving right away — that was in January of this year. Six months later our fleet manager called to say that our revenue numbers were good and asked if we were ready to begin our Path to Ownership. We were thrilled and told her yes! We submitted our paperwork to Expediter Equipment Finance and within a short amount of time, we were approved. The next step was getting in touch with Danny Vernon at Expediter Truck Sales. For our first truck, we decided to purchase a straight truck directly from the ES fleet. Going the pre-owned route represented a great value proposition and was the right move for us. 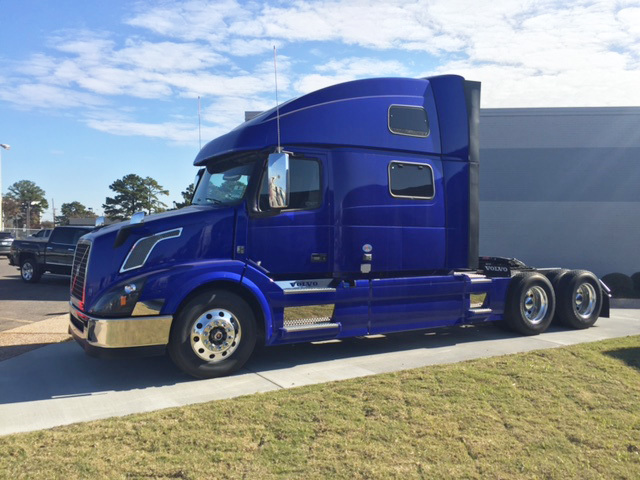 We were able to purchase a low mileage 2015 Freightliner Cascadia ST dry unit at a much-reduced price over a new one. There are still plenty of miles left on this truck and we intend to get the most out of it. The truck also has a custom sleeper and an APU, which helps us save on fuel. The entire buying process was simple. It’s really true what they say about ES taking your work history and earning potential into account when it comes to getting approved. We’re proof of that! It was a great opportunity to show our aptitude, attitude and work ethic to become approved to purchase our own truck. What is it like being owners? Being owners is just what we thought it would be. This isn’t something we decided to do overnight. There was a lot of research, planning and work involved in becoming owners. Our earning potential is increased and so are our responsibilities. We went into this opportunity with our eyes open and its paying off. We’re enjoying every minute of it. Even though we have greater responsibilities with our business, we still have support from ES so we Never Stand Alone. When we have questions or problems, ES is a phone call or fax away. They’re really good about communicating with us and it means a lot to have them there when needed. We’ve also found out that we’re saving money with the ES fuel card and their insurance discounts, which is nice. We’ve been in our own truck for about two months now and it’s given us time to see how our business is developing. We have plans to add another truck and begin building a fleet in the near future. With hard work and support from ES, we’re confident that we can do this in a reasonable amount of time. Tell us about your experience as a woman in transportation? Since this is my first experience in the transportation field (having come from the hospitality industry), I have nothing to compare it to. But it’s been a very positive experience. I’ve never had any issues with anyone within the industry. I have a lot of people (men and women) asking my opinion about certain aspects of the business. I’m always happy to help and the longer I’m in transportation, the more help I can be to people who may be starting out. What advice would you give to women looking to get into the transportation field? I would tell them to do their research. There are so many opportunities in this business and they can make a good living. It also helps to have a good partner. It also helps to have a support team like ES behind you, too. It takes a strong commitment, a belief in yourself and the right opportunity to become a Success in Trucking. As you’ll see in this issue of Spotlight News, Diana Jorgensen and her husband Ed recently took ES’s PTO (Path to Ownership) to get their MBA (Much Better Alternative) to truck finance in order to drive their business away from a problematic lease purchase agreement. 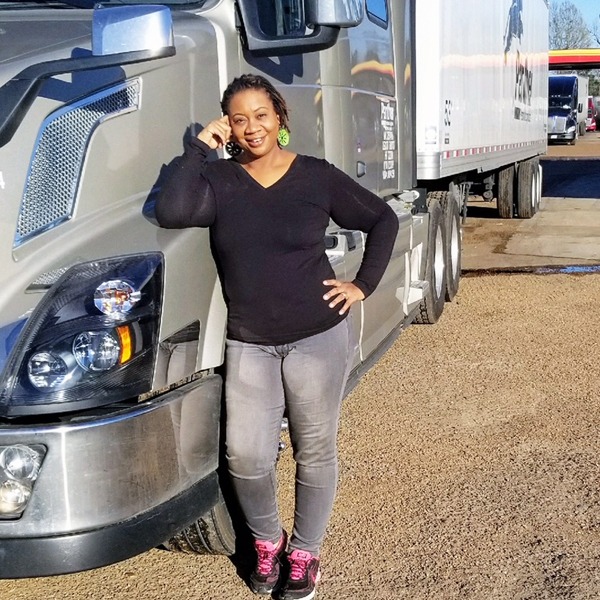 We also get Diana’s thoughts on being a woman in trucking and the support they get from ES as they take their business to the next level as true owners. How did you get into transportation? Ed has been driving for twenty-one years and I started driving with him eleven years ago. He actually trained me when I was first starting out. At the time we were driving for another company and we’ve been out here together ever since. Tell us about your decision to choose Panther Premium Logistics – ArcBest as your carrier? We had been driving for a company in a lease purchase and the truck was having a lot of problems. It literally died on us, so we walked away and became company drivers for another company we had worked for in the past. We worked for that company for about a year when it got bought out. We knew then that we needed to find a company that was more stable where we could generate a good income, so we contacted Panther. It was a good move. We love it here and can’t see driving for anyone else. They are a great company to work with. They have good freight and the people are friendly and helpful. What was your experience like dealing with a lease purchase? Dealing with a lease purchase is a pain! We got absolutely no support at all and communicating with them was next to impossible. We were on our own. When our truck was having problems, they wouldn’t lift a finger to help us. It seemed that no matter what we did, there were strings attached. The lease purchase company we were with also got bought out and because of that, the “walk away” lease wasn’t truly a walk away proposition. They even kept our maintenance escrow. Add to that there’s no beneficial way to pay off a lease purchase and you’ve got a real mess that makes it difficult to drive your business to success. What was your next step after leaving your lease purchase agreement? We contacted our recruiter at Panther and told him about our desire to own our own truck. He told us about several options available to us and we decided to contact ES about their Path to Ownership (PTO) and their Much Better Alternative (MBA) to truck finance. It sounded like a good opportunity to finally become true truck owners, so we made the call. The first person we spoke with was Danny Vernon, Expediter Truck Sales Manager. He helped us find a 2019 Volvo 860 with a Thermoking APU, which helps us save on fuel. It also has a nice sleeper. We were thrilled with it! The next step was to get with Steve Kochensparger at Expediter Equipment Finance. We submitted our paperwork and soon we were approved. We made the trip from our home in Montana to the ES offices in Southaven, Mississippi and picked up the truck. The ES staff was very accommodating as our schedule was really hectic during the transition into getting our new truck. The entire purchasing process was easy and a great experience all around. I’d also like to give a special mention to how ES was able to take our work history, attitude, aptitude and earning ability into account when getting approved. This was nothing like what we had experienced when getting into a lease purchase agreement. This time ownership is real and the truck is truly ours. What is it like being a true owner? Being a true owner is great. We’re out on the road working hard as usual (now just working smarter as well) and we’ve just made our first payment. The truck is getting great fuel mileage and we’ve already seen a bump in our bottom-line because of the better fuel economy and the discount we get from the ES fuel card. We’re looking forward to even greater income potential too as we move forward with our business. And unlike our lease purchase agreement, we actually get support from ES and their team. We Never Stand Alone because they are always behind us when we need help. What is it like being a woman business owner in transportation? Before getting into transportation, I was in the medical field. It’s really feels great being a part of this industry. It truly is the business of moving America and it’s exciting. Every day is different with different challenges and it’s truly rewarding. Also, I get to build a business with my husband, which I enjoy! How do you and Ed structure your daily tasks? There are definitely things that each of us do better than the other. I do all of the paperwork he takes care of the truck. It’s a give and take. But in the end, we support each other and that’s how we’ve been successful in our business. What advice do you have for women looking into getting in to the transportation field? Well, it helps to have support. I think it’s great that Panther and ES are supporters of the 150 Women-Owned Business Challenge. (Read more about the WIT/ES 150 women-owned business initiative here.) More and more women are getting into the business and it’s important that they are encouraged and made to feel like they belong. For women who are looking at a career in transportation, I would tell them to be confident, don’t let anyone tell you that you can’t do this business — just go for it. There are some good opportunities out there, so call ES and Panther, they can help you. What are yours and Ed’s future plans? Since we’ve become true owners, we’ve been thinking that in the future we may want to build a fleet. We have family members who’ve shown interest in the business and we’d like to encourage them to pursue their dreams. We’d like to help them and ES’s Path to Ownership and Much Better Alternative to truck finance is a good way to get there! Not everyone takes the same path in life or in business. That’s why it’s important to stay flexible in order to take advantage of the right opportunity when it arises. A perfect example of this principle is the husband and wife expediting team of Bob and Jessie Hodgson who are signed on with Panther Premium Logistics, a service of ArcBest, as their carrier. Until recently, the Hodgson’s business plan focused on being contract drivers. But hard work and knowledge about ES’s PTO (Path to Ownership) and MBA (Much Better Alternative) to truck finance would soon change their lives and pay dividends as truck owners. How did you and Bob get started in Transportation? Bob had driven a truck throughout the seventies and eighties. I was a school bus driver for just over fifteen years. My father owned a semi-truck when I was younger and I’ve been around the transportation industry my whole life. It just seemed to come naturally. Due to budget cut backs in my school bus job, I decided to get my CDL Class A and B. That’s where I met Bob. We began driving a truck together as contract drivers in 2013 and in 2015 we got married. How did you wind up at Panther as your carrier? We weren’t very happy where we were driving at the time and I submitted an application to Panther — that was in 2014. Their recruiter called me and we had a very frank and straightforward discussion about our business. We interviewed them just as intensely as they interviewed us. Their directness appealed to us and we decided Panther was our kind of carrier. We’re happy here and it’s been very good for our business. We got even happier and our business got even better after we decided to become truck owners! Tell us about your Path to Ownership? Since coming on board with Panther as contract drivers, we spoke with a number of truck owners trying to decide which one we wanted to drive for. Panther even provided us with numbers for each owner to help us decide who we wanted to work with. I had never had that happen before and it was good to be able to have that information in order to make a decision. We decided on an owner and dove right in. Four years later, Bob and I realized that we had a good handle on our business. A friend of ours at Panther had already become a true truck owner through ES and told us about their PTO and MBA. He encouraged us to look into what ES had to offer. That same friend stepped up and called ES and told them about us and our desire to become owners. We soon got a call from Danny Vernon, Expediter Truck Sales Manager. It’s great to have true friends who look out for you! 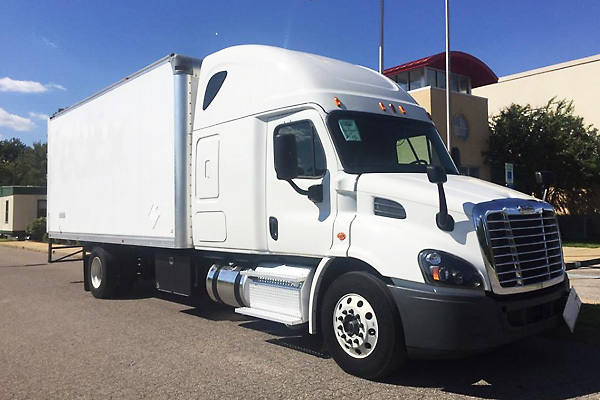 Danny explained in detail about the process of buying a truck through ES and found us a sweet 2019 Freightliner Cascadia. It’s a very nice truck with a ThermoKing Tri-Pac APU, which saves on fuel. We also like the large sleeper! After we settled on our truck, Danny put us in touch with Steve Kochensparger at Expediter Equipment Finance. He took us through the approval process. We submitted our paperwork and the approval was completed quickly. It was so refreshing how ES utilized our work history in getting us financed. Bob and I are extremely hard workers. We’re devoted to our business and each other. We don’t take a lot of time off; we love what we do. Our approach to life and business really paid off when purchasing our truck! I don’t know of any other company that takes your attitude, aptitude and ability into account in order to get financed. ES is truly unique in this respect. How is your new truck affecting your bottom line? When we decided to become a truck owner, we looked at all of the numbers and realized that we could make a lot more money, still pay for the truck and put money aside for our future — and all of this has come true. Becoming true truck owners was definitely the right path for us. If you’re thinking about taking the Path to Ownership, you should call ES and discuss your options. Their approach to finance is unlike anything else out there and they really do take your work history into account in helping to get you financed. You can take their Path To Ownership (PTO) and get an MBA (Much Better Alternative) to truck finance, just like we did! How are you treated as a woman in the transportation field? Since getting into the business in 2013, I’ve been treated with a great deal of respect. My experience has been good whether dealing with loads, customers or any aspect of the industry. I think if you act as a professional, you’ll be treated like one. Also, I think it’s important to listen to whomever you’re doing business with. There have been many times that I’ve dealt with dispatchers and even terminal managers and been given special treatment because I actually connected with them on a personal level. People really appreciate someone who can understand and empathize with them. I think women are more inclined to take this approach and it truly pays benefits. Are your tasks different than Bob’s when it comes to running your business? Absolutely! I drive six to seven hundred miles a night and get more actual miles due to less traffic. Bob drives days. He’s better at backing and I’m better at the mechanicals and paperwork. But we’re a team and you do what you need to do to be successful. What advice would you give women who want to get into transportation? Attitude is so important. I believe women (or anyone) who gets into transportation should always try to have a good attitude, keep a smile on your face and take things in stride. It’s just like the old saying: you can catch more flies with sugar than with salt! I also encourage women to take advantage of ES and Panther’s 150 Woman-Owned Business Challenge. It’s a great opportunity to own your own business. (Read more about the 150 Women-Owned Business Challenge). How many times as a transportation professional have you thought about truly owning your own truck and having the freedom to make your own decisions, control your own destiny and create your own opportunities? 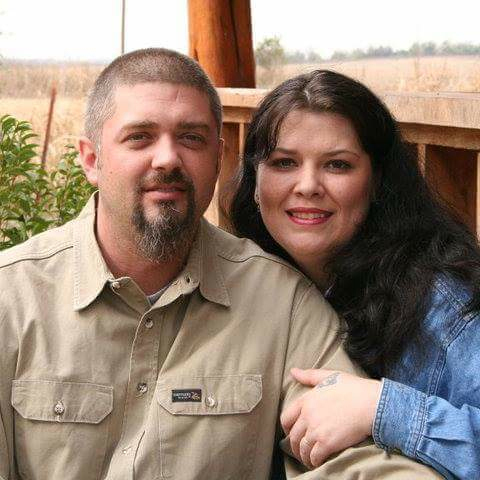 Amanda Cox and her husband Clint pondered this question after a few lease purchase experiences left them wanting more for themselves and their business. To satisfy their desire to be truck owners, the Cox’s wound up getting an MBA (Much Better Alternative) to truck finance and taking ES’s PTO (Path to Ownership). Now, they’re sharing their story with Spotlight News to help inform others that there is opportunity and true truck ownership if you know where to drive your business. How did you get into the transportation industry? My husband, Clint, has had a Class A CDL for about thirteen years and when our kids were old enough to leave home, I decided that I wanted to go out on the road with him. I went to school and got my Class A CDL three years ago. It just seemed like a great way to be with my husband and get paid to see the country — a pretty good deal. How did you wind up choosing Panther as your carrier? I drove for a few different companies as a solo for quite a while and I even looked around at other companies, but nothing really appealed to me. I was in a lease purchase with one of these companies and it didn’t go so well. I had heard good things about Panther and thought I would check them out. After doing some research, I called Panther and it seemed like a good fit. Clint came with me and we’ve been there for about a year now. They’re a good company to work with. When we first started with them, we were involved with a lease purchase, but then we heard from other drivers about ES’s Path to Ownership, so we decided to explore this opportunity. Well, my lease purchase experience wasn’t great, to say the least. With every one we were involved with, the true cost of ownership was always way too high and there never was any support. The second you had a problem, we were always told that we were on our own. It’s really disappointing, too, because you go into one of these agreements thinking you’re going to be a real truck owner only to find out there are all of these restrictions. Also, the paperwork is vague, you perform your due diligence only to find out there’s something the lease company didn’t disclose to you. We were looking for a Much Better Alternative. Tell us about your Much Better Alternative with ES versus your previous lease purchase? As I said, we had heard about ES’s MBA (Much Better Alternative) to truck finance from a couple of drivers here at Panther. We asked our manager about ES’s Path to Ownership (PTO) and he said the opportunity was real and many Panther teams had already taken the PTO. We got in touch with the people at ES and the ball started rolling quickly. The process was much easier than I had expected. We were soon in contact with Danny Vernon, Expediter Truck Sales Manager. He sent us several pictures of trucks that he sourced that were available showing different specifications. He made sure the truck we chose was equipped for the way we do business. We chose a 2019 Volvo 780 with a Tri-Pac APU and a very nice sleeper. Once we had chosen our truck, Steve Kochensparger at Expediter Equipment Finance stepped up and explained the ins-and-outs of the program. Since we had been burned by lease purchase agreements in the past, we were especially diligent about asking questions. He was upfront and forthright about everything. Once we submitted the paperwork it didn’t take long before we were approved. The entire process was refreshing. ES looked at our work history (and not just our credit) to get us approved. We absolutely love our new truck! Danny was very helpful even after the sale, reiterating the specifics of the ES Owner Operator Program so we truly understood how everything works together under ES’s umbrella. What is it like being a true truck owner? I can tell you that it’s great! Not only is it great being a real owner, the programs offered by ES are awesome as well. We have a great truck and real support that we never had while running under a lease purchase. The new truck and ES truly help our business. We’re seeing greater profits, more freedom and I just love being my own boss! 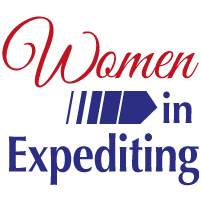 Tell us a little about your experience being a Woman in Expediting? My personal experience has been very positive overall. Sometimes, you run into people inside and outside of the industry who can be negative toward women, but I’ve found this to be very much in the minority. Women are capable of performing tasks as well as men and acting professionally is a big part of it. I do my job and I’m good at it. Having said that, Clint and I are a team and we play to our strengths. I’m very good at preparing paperwork and making sure the business is run efficiently — but I also drive. Clint drives too and does some backing of the truck, but that’s what he likes to do. It’s important to know your strengths and weaknesses when owning your own business. Our relationship works for us and we’re happy with how we run. Speaking of your business, what are your plans for the future? The support we receive from ES and the ease of which we were able to finance our truck has gotten us to thinking about maybe building a fleet in the future. This is a move we would never have even considered if not for ES. Now, it’s something we’ve discussed. We’re playing it by ear for now, but that opportunity is definitely in the back of our minds. Once again, Spotlight News continues to report stories of contractors who pursued lease purchase agreements in the quest to achieve truck ownership. While easy to get into, lease purchases offer a false hope for true ownership due to their high payments, restrictions and extra fees. Add to this the fact that there’s also virtually no way to beneficially pay off the lease and you have a perfect storm as to why LP’s are considered toxic to most transportation business owners. ES breaks with the lease purchase conundrum and conventional lenders by offering an innovative Path to Ownership (PTO) and a Much Better Alternative (MBA) to truck finance. As you’ll see in this week’s issue, husband and wife driving team Nora and Daren Weston overcame personal challenges to realize their dream of true truck ownership with help from ES. What led you into transportation? It was my idea. Our last child graduated from high school and I told Daren that I wanted to do some traveling, but I still wanted to make an income. I enrolled in a trucking school and got my CDL. I also told Daren that one of my greatest desires throughout the process of becoming a driver was to achieve true ownership. I wanted to own my own business and have the freedom that goes along with it. When I decided to go, he jumped in right along with me. I left my full-time job as a district sales manager with the Clarion Ledger newspaper here in Jackson, Mississippi. That was in 2014. Daren drove as an independent contractor with them. He stayed in that position while I went to trucking school at night. Tell us about joining Panther Premium Logistics as your motor carrier? Immediately after graduation from trucking school, we tried a couple of different carriers to see which one would be the best fit for our business goal to become owners. We had heard good things about Panther Premium Logistics and called them. The people at Panther were extremely accommodating and we liked their pay structure, too. We decided to make the switch. They were a great match for us, and a terrific company to work with. We were on our way to taking our business to the next level, but there was a “problem”. We were involved with a lease purchase agreement that just wasn’t working for us. Tell us more about your lease purchase problem? We had been in a lease purchase for about two years and brought that truck with us when we joined Panther. There are just so many drawbacks to an LP. The terms and interest rate on that truck was through the roof, we couldn’t deduct the equipment from our taxes, there’s a maintenance escrow you have to pay and there’s no way to beneficially pay it off. You also have no real control over the full operation of your business, especially when it comes to repair and maintenance. On top of all this, there was absolutely no support. If something went wrong with our truck, we were on our own. There were also no discounts associated with it. As a business decision, a lease purchases just doesn’t make good sense in the short or long term. But at the time, a lease purchase was just about the only choice we had — or so we thought. How did you get out of your lease purchase and into true truck ownership? We had been with Panther for about a year and had heard good things from several other owners about ES and their PTO (Path to Ownership) and MBA (Much Better Alternative) to truck finance. Hearing about these programs was great for us because we had finally had our fill of the lease purchase agreement we were in. We called ES to learn more. Our first contact was with Danny Vernon, Expediter Truck Sales Manager. We told him about our desire to become owners and gave him details about what we were looking for in a new truck. He started to work right away. We were soon referred to Steve Kochensparger at Expediter Equipment Finance to get paperwork started for our loan approval. He was very helpful and walked us through the entire procedure. There’s something I want Spotlight readers to know about how ES goes about approving loans. 2017 was a challenging year for us. Back in October, Daren had a heart attack and was unable to drive, so I drove solo. Because of this, our business had taken a hit. We also didn’t have the best credit going into the loan process. ES looked at our work history, work ethic, attitude, aptitude and credit history. It wasn’t long before we were approved. That says a lot about ES as a company and their faith in our ability to earn and run a business. I’m still on the road and Daren is making a full recovery and will be back up and running with me within the next month. Expediter Equipment Finance made a stressful and trying time much easier than we would have imagined. Danny really hit it out of the park! I explained to him that I wanted a truck that would allow us to have quality rest time with a large sleeper and a nice kitchen so I could prepare meals, since I eat a mostly plant-based diet while on the road. It also had to be large enough to give us room to relax. He sourced a brand new 2018 Volvo 780 with a Thermoking APU, an automatic transmission and a really large refrigerator (not a dorm sized unit), which I really like. The truck is working wonderfully! I can’t wait for Daren to get back to work with me! Have you seen a difference in your bottom-line since becoming a true truck owner? Absolutely! With the ES fuel card and discounts, being an owner definitely makes a difference in how much money you get to keep. Compared to the lease purchase we were in, there’s no comparison — this is MUCH better! I recommend ES’s PTO and MBA programs to anyone looking to be a true owner in order to get away from a lease purchase. For me, it’s great being a woman out here on the road owning my own business. I don’t see any difference in treatment from my male counterparts. I truly love what I do and I wouldn’t want to do anything else. I travel and experience things I’ve always wanted to do, while at the same time earning a really good income. I hope more women seek the opportunities afforded by the ES and Women in Trucking Association’s 150 Women-Owned business challenge. Being a woman business owner is awesome and transportation is a great option for anyone, female or male! I’ve met several different owners who utilized ES’s umbrella of companies to build a fleet. My future goal is to grow my own fleet of between three to five trucks. That will give me the freedom to pursue other opportunities that will filter down to helping not only me, but also my family. As we’ve pointed out in numerous articles, opportunity in the field of transportation has no boundaries. The path to success and ownership is open to anyone with the desire to work hard and take advantage of opportunities such as programs and support from ES. 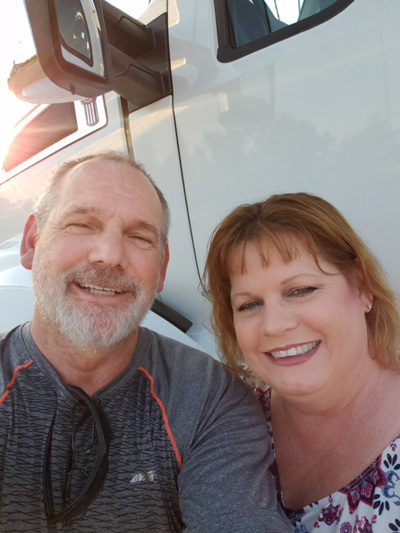 Amy Kain and her husband Wade are business owners who recently took ES’s Path to Ownership (PTO) and Much Better Alternative to truck finance (MBA), in order to say farewell to the lease purchase quagmire to become true truck owners. Amy’s perspective as a woman business owner and a Woman in Expediting tells their story of success. As a woman in transportation, what made you want to get into the business? Back in the day, I was dating someone who was a driver and it seemed like the transportation industry was a real opportunity to make a good income to support my kids. I still feel that way! If you apply yourself and have good support like you get from ES, you can make a good living, support a family and put money away for retirement. How did you and Wade get started in transportation together? My husband started driving for a trucking company quite a few years ago and we’ve been at it ever since with various companies during that time. We decided that we needed a change and chose Expediting as our next career move. How long have you been in Expediting? We’ve been in the Expediting for about three years now. Before we made the switch, we did our research to see what it’s all about and what they say is true: expediting has a much better lifestyle, which suits us very well. It’s also a great opportunity to earn a good living. We chose Panther as our carrier and we’re very happy with them. They are a great company! Tell me about your lease purchase experience? To be honest, it wasn’t great. It’s basically paying a truck note and with a bunch of extra costs and requirements with virtually no way to really pay the truck off. A lease purchase definitely is not true ownership because at the end of the day, you don’t (and probably never will) own that truck. Before hooking up with ES, we were in a couple of lease purchases. Each one was with different companies, but basically it’s the same story: you pick out your used truck from a lot, which really isn’t much of a choice because you don’t know hardly any history about the truck and you’re stuck with whatever selection they have at the time. Each LP was easy to get into, like falling into a hole. There are many other negative issues you have to deal with in a lease purchase, too. Can you tell us more about these Lease Purchase issues? Well, to begin with, there’s the required maintenance escrow. We would pay it every week, but when it came time to have the truck worked on, there were so many strings attached that it was always a hassle trying to get the truck fixed. We had no say so when it came to getting parts for the truck, such as tires and other things. Also, when we left our last lease purchase, the lease company kept our maintenance escrow — that’s money we’ll never see again, that’s for sure! Add to that the fact that there was little to no support from the lease company. They always acted like they were doing us a favor instead of servicing us. It was like we worked for them instead of them working for us. Almost any way you slice it, the entire LP experience is not something I would recommend for anyone looking to actually own a truck and be successful. What made you decide to take ES’s Path to Ownership? We’ve had the desire to be truck owners for a long time. We spoke with some other drivers who told us about the good experience they had with ES and we decided to give them a call and the rest as they say is history. Tell us about the process of choosing a truck and financing? The whole process was easier than we thought it would be. Danny Vernon, Expediter Truck Sales Manager, was really helpful in locating a new truck for us at a dealership. He made sure the truck was spec’d the way it should be for our business. We wound up purchasing a new 2018 Volvo 780 with a Thermo King Tri-pack APU, which saves us on diesel and idling the engine when we have down time. The financing was easy, too. Once we submitted our paperwork, Steve Kochensparger at Expediter Equipment Finance looked at our work history with Panther. He got back with us quickly and the deal was done. The whole thing was much easier and straight forward than going to a traditional bank. As a true owner, can you tell a difference in your bottom line? We’ve been in this truck for about 4-months. We love it! We’re making more money than we were in our lease purchases because we’re paying less to the bank and putting more money in our pocket. And It’s just a great feeling to know that the truck is actually ours. As a woman business owner, what are your tasks when it comes to running your business? Wade and I both drive, but there is work that I do that is more suited to me, such as I might do more paperwork than him, but in reality, we share everything. Do you feel you’re treated differently being a woman in what is traditionally a male dominated field? On occasion, I do experience some negative aspects of being a woman, but for the most part, if you act professionally, you’re treated like a professional. You’ve got to stay focused on your goals and not let anything negative get in the way. What would you tell women who are looking to get into transportation? I would tell them it’s all about the opportunity. There’s a lot of opportunity for women in the trucking business with ES and Panther. It takes a community like this to be a Success in Trucking. We continue to shine an investigative spotlight on Lease Purchase agreements with our latest story featuring Amy Williams, and her husband, an Expediting team signed on with Panther. She recently took the Much Better Alternative (MBA) to truck finance after a trying experience with a lease purchase agreement. Over the years, the trucking industry has offered lease purchase agreements to Contractors looking to become Owner Operators. As a rule, lease purchases are configured to benefit the Leasor featuring little or low down payments veiled to entice you to overlook restrictions and requirements. The final results are high payments and virtually no beneficial way to pay off a truck. The lack of a true ownership option can make it frustrating for entrepreneurial minded contract drivers to become owners. The good news is that the lease purchase has met its match! A much better option is Expediter Services’ Much Better Alternative (MBA) to truck finance with a rock solid Path to Ownership (PTO) offering true truck ownership. Just ask Amy Williams, business manager, partner and wife. 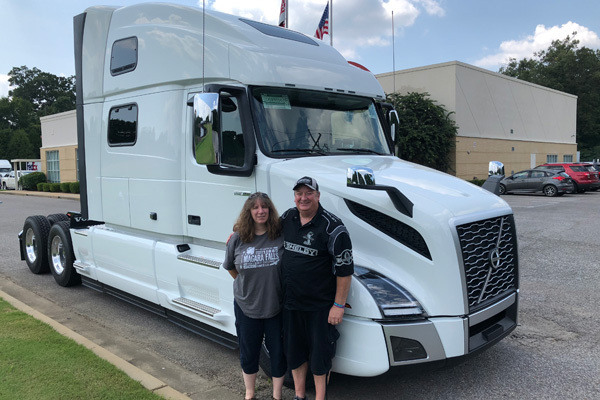 She and her husband Kenneth recently moved out of a lease purchase with help from ES and into true ownership with the purchase of a new 2018 Volvo 780. We also discuss Amy’s experience as a Women in Expediting/Women in Trucking and the dynamic role women play in all aspects of the field of transportation. 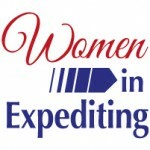 SLN: Tell us about your experience as a Woman in Expediting/Women in Trucking? SLN: You’re a great example of how women play different roles in trucking. Tell us more about what you do? I did drive at one point, but we made the decision that I would take on the role as business manager. The demands of paperwork, dealing with CPA’s, and keeping the books can be a full-time job. By utilizing my strengths in this role it frees up Kenneth to concentrate on the driving and operating the truck. I’m still with him in the truck wherever we go and we operate as a team. This was our choice and we’ve been successful working this way. Each business operates differently. What works for us may not be for everyone. 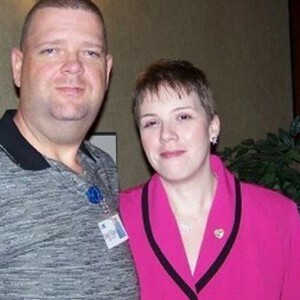 SLN: How do people treat you as a Woman in Expediting/Trucking? It used to be that as a woman in this business, people sometimes would treat you differently because you were in a male-dominated field. But I can certainly see how things are changing. For the most part, people treat me as a professional and I think that’s a positive development for women in this industry. I would tell any woman thinking about getting into the business to do you homework and do what you like and play to your strengths. SLN: Give us some background about yours and Kenneth’s trucking experience? Kenneth has been driving a truck since 1994. After exploring some other opportunities outside the trucking industry, we got back into trucking full time in 2010. A couple of years later, we signed on with Panther as our carrier and have been there ever since. Panther is a very good company to work with and has allowed us to meet our business goals! SLN: Tell us about your lease purchase experience? Since coming onboard at Panther, we’ve been involved with two lease purchase agreements. We had looked at purchasing a truck a while back, but the barriers to entry were too steep for us and the total cost of ownership was very high. The lease purchase option was much easier to get into — and since we wanted to be owners, it seemed like a good choice at the time. But we soon discovered it wasn’t the best path. SLN: What was it that turned your lease purchase into a not-so-good option? There were a number of things, actually. The payments were high, the total pay back was horrendous, there was little-to-no support and we were always having problems with getting maintenance and repairs done on our truck; this especially was a real deal breaker for us. SLN: Can you tell us more about the problems you had with repair and maintenance issues? The lease purchase maintenance program was definitely one of the worst parts of the deal. We paid about $300 a week that went into a maintenance escrow account. When you needed to get anything fixed, you were at their mercy and they never got in a hurry about anything. On top of that, they would dictate that you had to use certain parts and a lot of times the parts were low quality aftermarket parts that would lead to future maintenance issues. This applied to tires too. It was also such a fiasco getting them to actually pay for the repair. We got very little support when it came to getting our truck fixed and maintained. They kept our maintenance escrow money when we left the lease purchase as well. The whole lease purchase experience was frustrating because they acted like they were doing you a favor instead of providing a service. They were demeaning, demoralizing and condescending. And you never felt like you owned the truck. SLN: How did you hear about ES and their Much Better Alternative to finance? We wanted to be true truck owners and we had discussed this with our representative at Panther. He was very attentive, understanding and compassionate about the predicament we were in and the feelings we had. He told us about several options and we chose to contact Expediter Services about their Path to Ownership and their Much Better Alternative to truck finance. I called Jeff Tacker. He and I spent a LOT of time on the phone discussing our options. I told him about our goals and desires for our business. Jeff answered tons of questions about the PTO and MBA and he also explained about the support programs and discounts offered by ES. He never hurried or pushed us to make a decision about financing a truck. As a matter of fact, Kenneth and I took a couple of months to make a final decision about buying a new truck and when we were ready, ES was there for us. SLN: Can you tell us about the buying process? Throughout our time thinking about the purchase, we were in touch with ES. When we were ready, we submitted our paperwork to Steve Kochensparger to get an approval through Expediter Equipment Finance. We were so excited about finally being true truck owners. Danny Vernon, Expediter Truck Sales Manager helped us source our truck through a dealership in Memphis. We purchased a brand new 2018 Volvo 780 with a very nice factory sleeper and a ThermoKing TriPac Evolution APU that really helps us save on fuel. We were extremely grateful for Danny’s involvement when sourcing the truck. I believe we got a better equipped truck at a better price because of his expertise. Buying our new truck really put a smile on Kenneth’s face! Just look at our picture. We are so proud of our new truck, and I am so excited about our new business opportunity! SLN: Is there a difference in your bottom-line since becoming true truck owners? Yes! We’re increasing revenue by eliminating down time and out of service issues with our new truck. And we’re saving money on operating costs. We’re seeing a real savings in fuel because of the industry leading discounts on the ES fuel card. Insurance is another significant savings. We get outstanding coverage at the lowest cost. These increased earnings and savings go directly to our bottom-line. Stay tuned for even more true stories of True Truck Ownership in upcoming issues of Spotlight News.